Q: Who Does the Planning? Usually, someone very close to the bride is the one to set the ball in motion. For example, a sister (or other close relative) or the maid of honour and bridesmaids are the ones expected to begin the planning process. The bride never plans her own shower. Q: When should you have your Shower? Once the "planning committee" is in place, you must pick a date for the shower. If the shower is not meant to be a surprise, you should consult with the bride first. 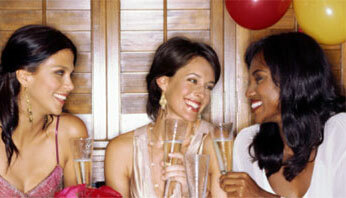 Otherwise, four weeks prior to the wedding is an ideal time frame to consider for the bridal shower's date. This should be step #1. No further planning can commence without a clear budget in mind. If the cost is being split amongst several planners, organize a meeting of all participants to decide on a budget and stick to it. No one wants to be surprised with a bigger bill than what was originally agreed on. The problem is that the budget totally depends on the particular wedding, number of guests etc.. But, in general, try to establish an amount-per-person that everyone is comfortable with; also, frequently, may family will agree to contribute a bit more, or pool their resources to get some "big" item. Smaller groups can be accommodated at home or at a restaurant (like these ones (in Ottawa) or this one (Toronto) etc..). Larger groups can be hosted at various reception venues like golf courses, church halls, or hotel banquet rooms (visit our Directory for banquet facilities in your local area). That's a tough one: Traditionally, showers would be held on a weekend afternoon. That may not work in today's environment of varied work schedules. Determining the best time for a shower is best done by considering the guest list. A weekday evening event may be a good choice for some showers while others still work best on weekends. 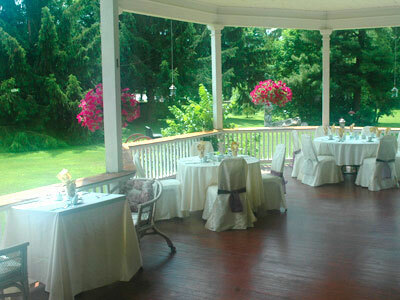 There is no rule here, as bridal showers can be given any day of the week and at any time. Tip: Offsite (i.e. not at home) events held on weekday evenings will be less damaging to your budget than a weekend affair. 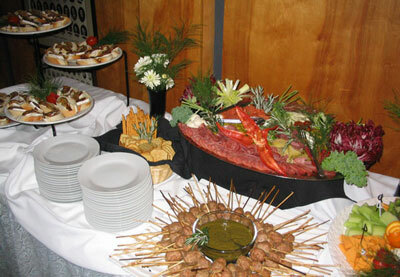 Once again, the bridal shower's menu will depend greatly on your budget and on the time of day the event is being held. or less involved like a cocktail reception with appetizers. Tip: if you are preparing the food yourself, try your recipes out in advance so that there are no surprises on the day. Something like this should be more than adequate. The shower is not meant to be a feast - just a get-together, during which you really don't need your guests to get hungry and anxious! Get a Quick Quotes on Catering? Q: Theme? Do I need special "Décor"? 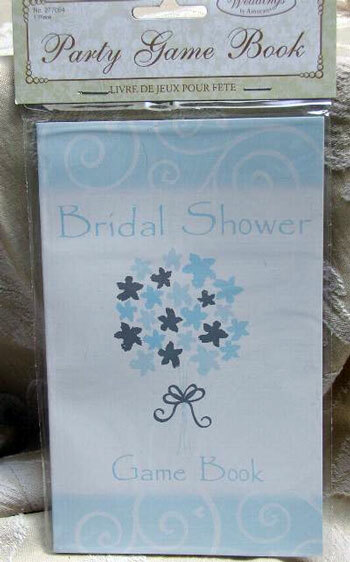 Many shower planners recommend assigning a specific theme to the event. Which is not such a bad idea, since having a theme can actually eliminate the guesswork out of the decorating style, game ideas, and even gift giving. Working around one main theme helps the organizers and the guests focus their planning for the event. Themes can be chosen from a variety of topics from the seasons to the colours of the rainbow. In other words, you can make anything you like into a theme. For example, colours are popular and very easy to work with. Choose the bride's favourite colour and go from there. The gifts, the decorations, and even the guests' clothing can all be guided with the "theme" colour in mind. Another popular and somewhat whimsical theme is to focus on a particular time of day. For example, you tell the guests the theme is "6pm". The shower could be scheduled for this time of day and everything from the gifts to the games to the decorations would revolve around it. What type of gift would you get someone if you had to work with a "6pm" theme? Dinner plates? Wine glasses? Pyjamas? Etc, etc, etc.. In most cases, you can simply choose a theme based on the bride's own lifestyle.. then the venue and the décor (if any) can be exactly the sort of environment where the bride feels most comfortable. The yoga studio? The tennis club? A favourite restaurant? An outdoor location? The environment will guide you.. 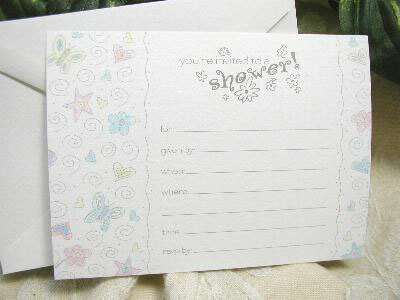 There are many ways to get the word out about a shower, like phone calls, emails, or better yet, written invitations. Your budget will always dictate how you send your invites but always remember to include the bride's name, date, time, and location of the event. It is also important to include your name and phone number if you want guests to RSVP. If a bride is registered with a gift registry, let the guests know in the invitation. Also, alert them to any themes you have in mind for the event so that they can plan accordingly. In general, the bridal shower is for women only; however, it is becoming more and more popular to host a "Jack & Jill" shower where both the bride and groom are honoured together and the guest list includes both men and women. In any case, the guest list should consist only of people that are also invited to the wedding. Many bridal shower hostesses love to include games in the event. Games are a great way to break the ice at a shower, especially if most of the guests don't already know each other. Anything from bridal themed bingo to trivia on the bride and groom themselves is popular. Here again, let the guest list be the guide to a suitable game for all attending. this $4 book contains 10 bridal shower games with game sheets for up to 12 people, including: The 'M' Word, Let's Make a Deal, How Well Do You Know the Bride, Baby Faces, Picture Perfect, Bridal Bingo, Love Letter, Toilet Paper Bride, (?????) Let's Roast the Bride to Be, (or, let's not...) Limerick/Poem Writing Contest. when planning a bridal shower game, don't include anything that requires divulging too much personal information. This could get very uncomfortable for the bride and for many of the guests. Plus, always have small gifts on hand for the winner/s of the games. Showers have evolved throughout the years from simple at home lunch and tea parties to full blown out catered events. The size and style of the event usually reflects that of the wedding itself and should also be somewhat representative of the bride's style. Not to be confused with a stagette, the bridal shower's purpose is to help the bride embark on married life not to celebrate the last moments of being single. All plans should be tasteful and fun without bordering on the risqué. Anything suggestive should be reserved for the actual stagette.